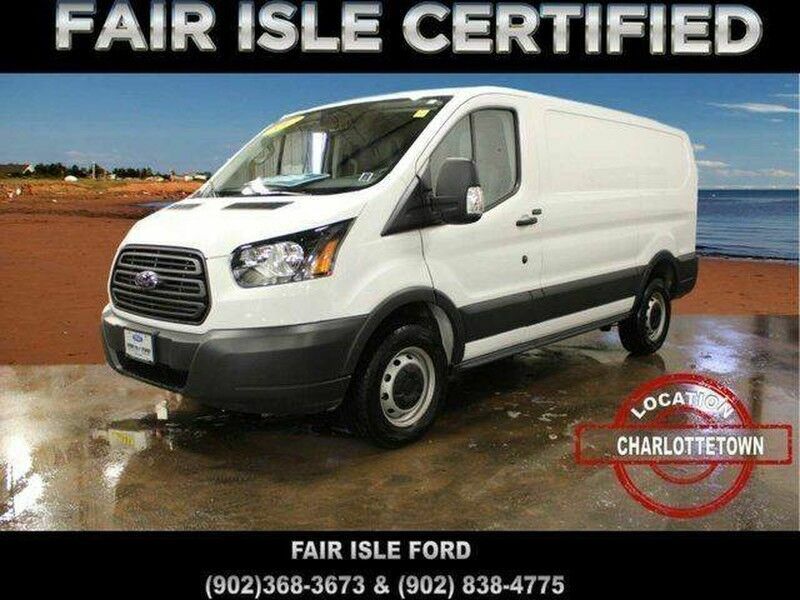 Fair Isle Ford Sales has a wide selection of exceptional pre-owned vehicles to choose from, including this 2017 Ford Transit Cargo Van. The look is unmistakably Ford, the smooth contours and cutting-edge technology of this Ford Transit Cargo Van will definitely turn heads. There is no reason why you shouldn't buy this Ford Transit Cargo Van . It is incomparable for the price and quality. The Ford Transit Cargo Van will provide you with everything you have always wanted in a car -- Quality, Reliability, and Character. Just what you've been looking for. With quality in mind, this vehicle is the perfect addition to take home. We are PEI largest destination for commercial vehicles, Stop in today and talk to one of our commercial leasing experts.